With fall well on its way, it’s time to think about fall activities that will warm your heart and revive your soul. Perhaps your normal fall routine includes fall shopping, hayrides, corn mazes, and pumpkin patches. 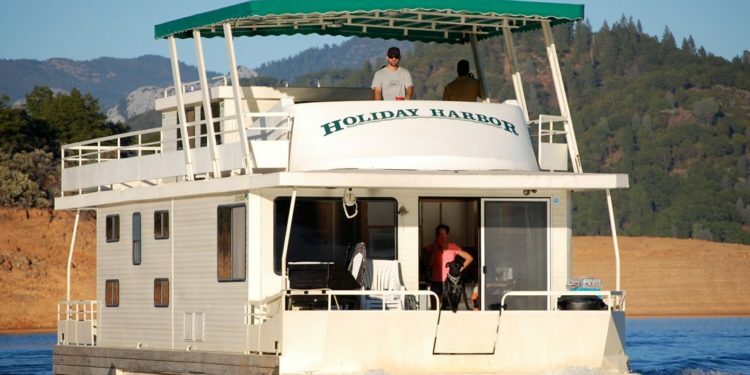 This year, it might be time to add another activity to the list: a houseboat rental on Shasta Lake. It’s a perfect way to enjoy the beautiful fall weather. In the fall, Shasta Lake is still calm and warm. Storms and strong winds are virtually nonexistent here. There are still warm days, sometimes with temperatures in the 80s and 90s. 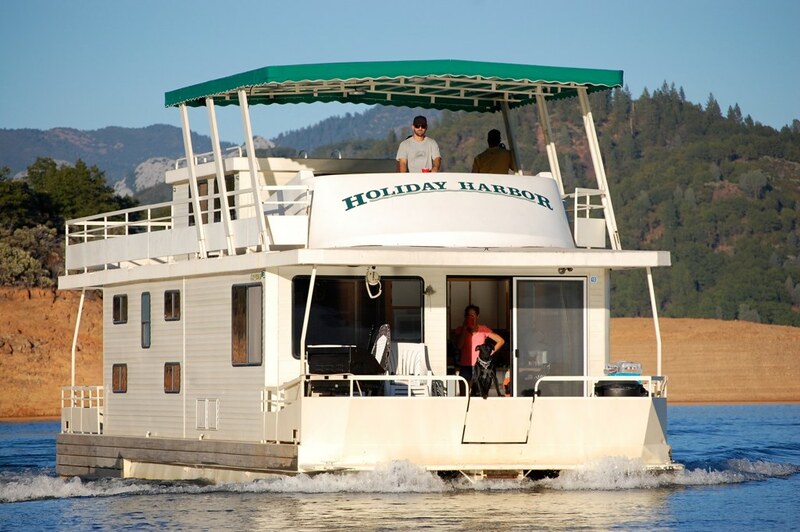 In the fall on Shasta Lake, you can have the best of both worlds. During the warm summer-like temperatures of the day, you can engage in your favorite water sports or hike to a waterfall. At night, when the temperature drops to the 50s or 60s, you can cozy up in the houseboat with blankets, movies, warm fish chowders, board games, and s’mores off the grill. You can get domestic with your cooking too. Bake some cake, brownies, or other goodies in the oven. It will provide the double benefit of warming your houseboat cabin and providing something yummy for the clan. Off-seasons, like the fall and spring, are ideal times to enjoy a soothing getaway. With fewer houseboats on the lake, the lake becomes a wide-open expanse of beauty to explore. You just might get to enjoy the coves and fishing spots all to yourself. There’s less noise, less visual clutter, and less wild speedboats disrupting your fishing prospects. 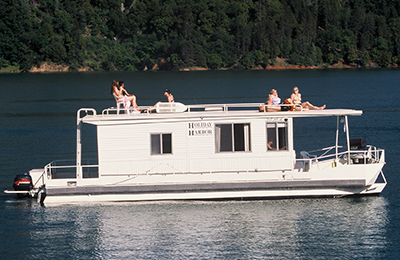 What’s more, houseboat rentals are available at lower rates in the fall. So now it might be a little easier to talk your budget-conscious spouse into it. Just because the weather is cooler doesn’t mean that the fish won’t be biting. Not at all. In the fall, the water at the bottom of the lake becomes cooler and the fish come closer to the surface of the water to find warmer waters. Largemouth bass and smallmouth bass are especially plentiful in the fall season. And the Shasta Lake Trout Derby holds its annual derby in October. This year it’s on October 15 and 16. In the tournament, up to 250 anglers compete for a generous cash prize. Now, who wouldn’t want to win some cash for doing something they love? Houseboating in the fall is bound to be an experience that refreshes and rejuvenates your spirit. It’s worth trying at least once.